Quik Strip commenced trading in January 2008 specialising in soda and abrasive blasting. 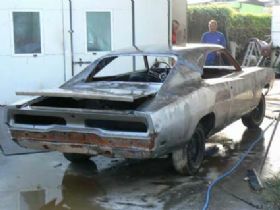 The company is owned and operated by Greg Morris who is a classic car enthusiast and was born out of his dissatisfaction with paint removal jobs performed on his own and customer cars. 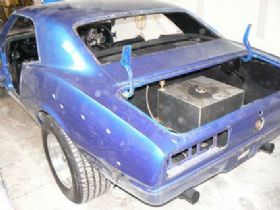 Greg is also the proprietor of Corvette Restorations which operates from the same premises in Bankstown, NSW. Quik Strip provides a number of paint removal techniques including soda, garnet and sand blasting. Soda blasting is a specialty, performed in house in a fully enclosed booth that can accommodate any size classic from a diminutive Fiat to a land yacht like an original Chrysler 300 or a sixties Cadillac. 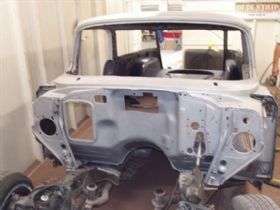 The booth provides plenty of ventilated space to perform the job to the highest professional levels and soda blasting is one of the fastest and safest ways to strip paint from your car. The soda utilised in the blasting process is food grade soda that is ideal for automotive, aviation, hydraulic, marine, mining and catering equipment applications. Possibly the greatest benefit with soda blasting for automotive applications is it causes very minimal or no damage to the surface and is applied by low pressure compressed air at high velocity. The soda blasting process also creates very little or no heat which ensures the shape and strength of the surface being blasted. Soda blasting offers plenty of other benefits over and above being very safe to use and non toxic. Its other properties include being biodegradable, non hazardous, non sparking, non flammable, water soluble, odourless, non irritant to the eyes and skin and non corrosive. This last quality is highly prized in automotive circles as the end result of having your car soda blasted is a light protective coating that is rust and mould resistant. This coating prevents immediate oxidation leaving almost no prep work required for recoating. In certain cases Quik Strip are able to do selective paint layer removal taking only top coats off while leaving the undercoat intact. Another plus of soda blasting is its rejuvenating characteristics on stainless steel and it does not harm, scratch or pit glass or any rubber surface or seal. 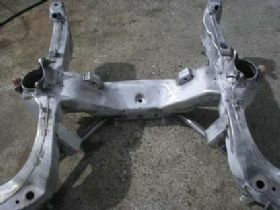 If you are stripping the paint from selected areas of your classic, such as a single panel and have not fully stripped the body of all ancillary and trim parts soda blasting is a great solution. 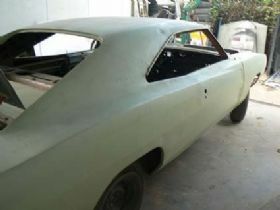 Garnet blasting is another option for paint removal on classic cars and is popular if the car has rust or body filler. There is a separate fully contained booth for sand and garnet blasting that is a similar specification to the soda blasting booth. 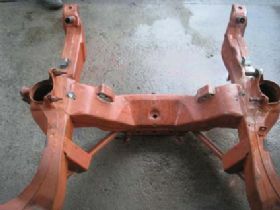 If Quik Strip do need to remove things like rust that requires the harsher systems, they have available various grades of abrasive blasting material in garnet and sand for specific areas that the soda wont remove. Quik Strip will use the best system to suit your needs. Greg understands the various stripping methods, what applications work best depending upon the surface material, age and condition and he treats each job as if he was stripping his own pride and joy. 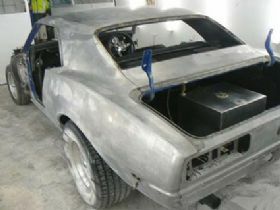 Many owners have been surprised by what was lurking under that slick paint job and as surface defects are identified the owner is often notified of the condition of the panels. If you would like to discuss your project, obtain an obligation free consultation or any further information please feel free to contact Greg on 0418 440 131 or drop in for a chat at his workshop.